The very best for your soil! Our premium organic planting mix is designed to be worked into the soil every time you plant. It’s got everything you need to get your garden off to a good start: earthworm castings, bat guano, Norwegian kelp meal, composted forest humus, sphagnum peat moss, and more. We carefully adjust the pH to make sure that your plants can take up the nutrients they need. 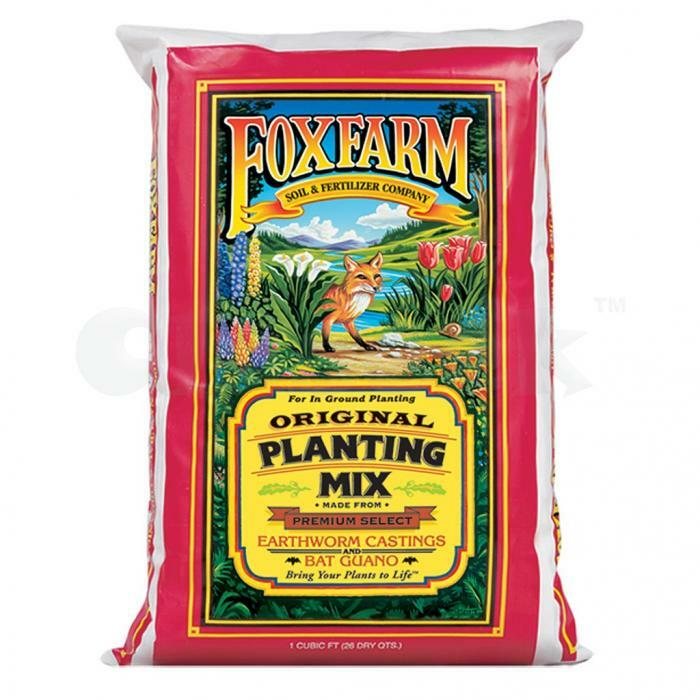 Our special mix also helps hold moisture in the soil, which keeps plants hydrated and growing.